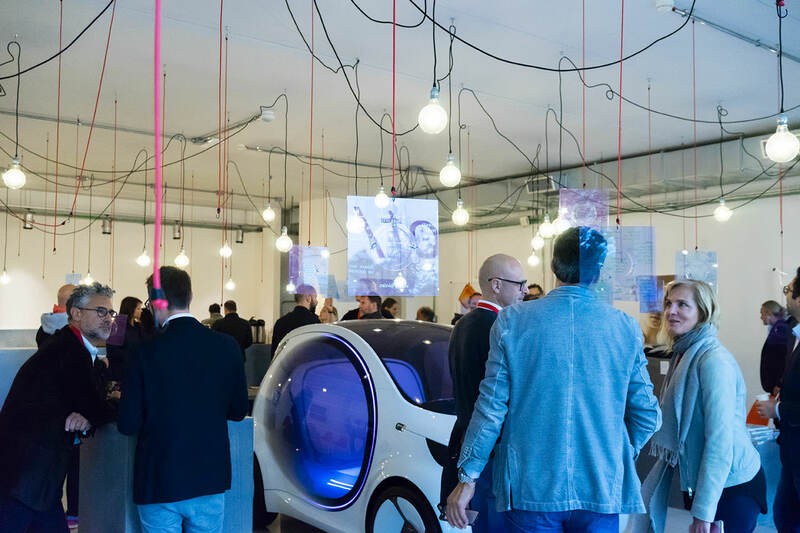 Conceived as part of the futur/io Moonshots for Europe programme, Moonshot Café showcases future prototypes entangled in thought-provoking fictional narratives set to stimulate positive futures. The exhibition space is presented as as a continuous and modular rather than polished and crisp experience, emphasising on the and fragility of positive futures and the need for responsible long-term commitment. 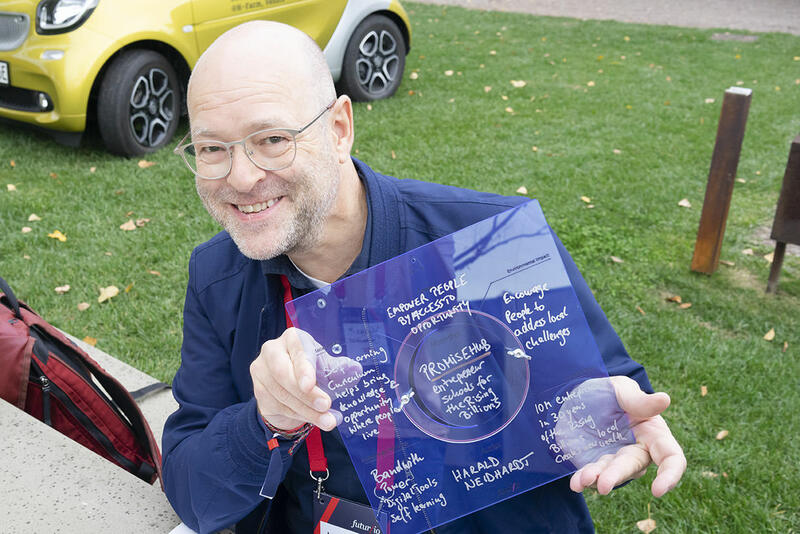 Harald Neidhardt from the futur/io institute invited us to create a stimulative futures experience for the Moonshots for Europe programme taking place at the H-Farm near Venice, on the 24-26th of October, 2018. 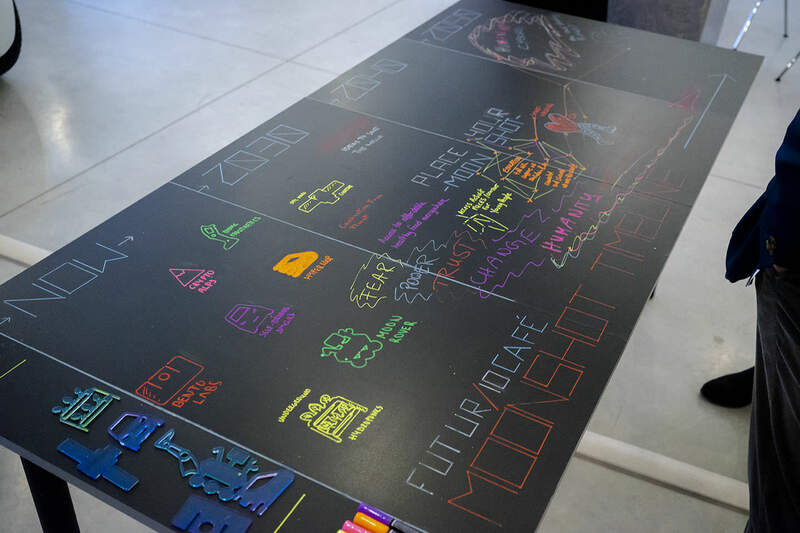 Our challenge was to design tangible stimuli that would encourage the participants of the programme to consider wider environmental, social and cultural implications when developing their moonshot ideas. 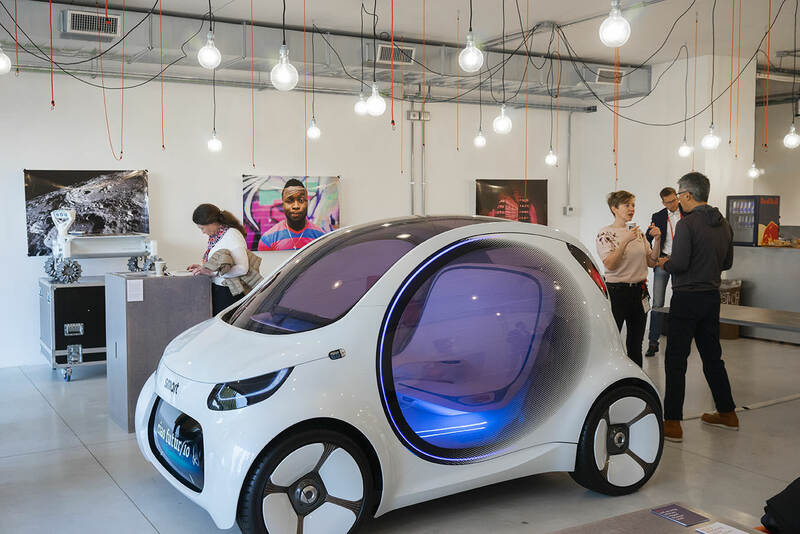 How would we get the stakeholders to make responsible and measured long-term decisions, whilst staying on the edge of innovation, keeping up with the emerging technologies, and nurturing global economy? Seeking to establish a space for proactive sharing, we invited the workshop participants to bring some prototypes of their upcoming projects. 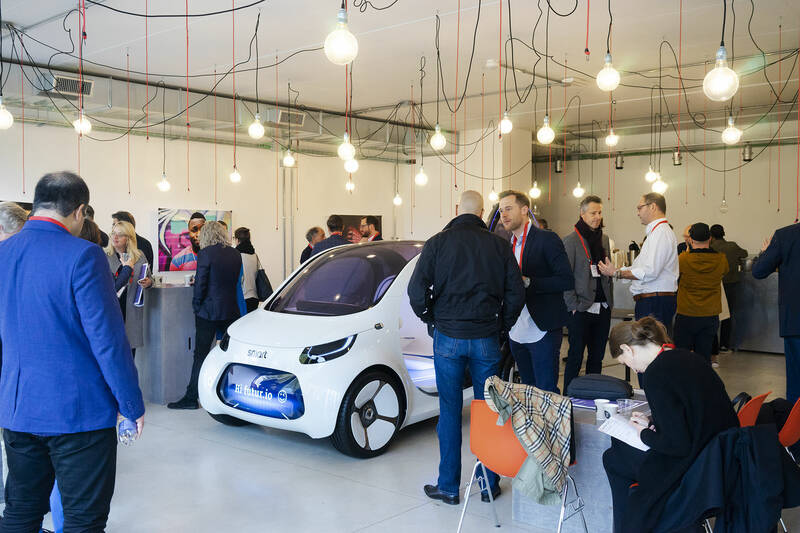 We placed the café in 2030, but presented it as continuous and modular rather than polished and crisp experience, emphasising on the uncertainty and fragility of positive futures and the need for responsible long-term commitment. The first thing the audience would notice was a smart prototype from Daimler. A self-driving vehicle model had been selected for its significant contribution in saving lives during the Sydney Tsunami in 2027, directing and carrying people to safety thanks to its ability to interact with nearby suroundings. 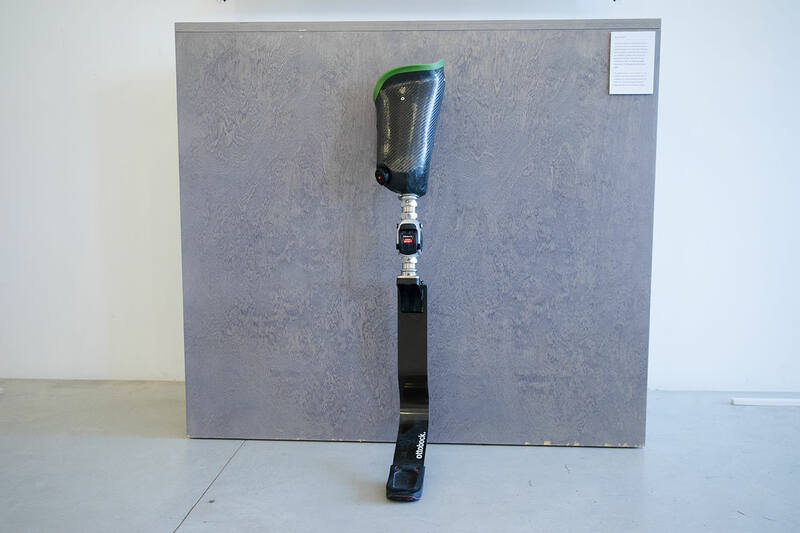 Just to the right of the smart, a bionic blade from Ottobock; The very one which helped Joséphine Gaze set and beat her own Olympic record at the 2024 Paris and 2028 Los Angeles Olympics. Her achievements pushed the international legislations to allow bionic-enhanced sportsmen compete in regular rather than Paralympic competitions. 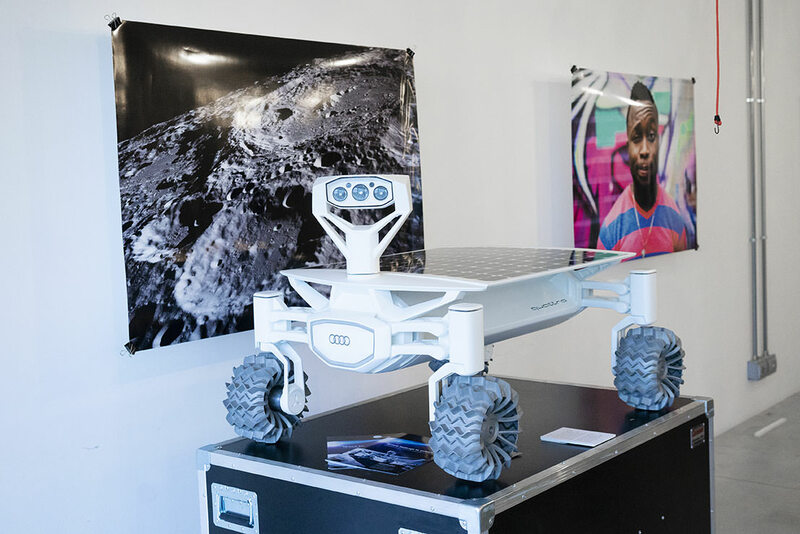 Finally, on the opposite side of the gallery, a Moon rover prototype by PT Scientists in collaboration with Audi; The first autonomous vehicle to land on the Moon in 2019 inspired other manufacturers to explore the moon’s surface as a sandbox for safely testing specific autonomous vehicle properties. The space was adorned with images accompanied by stories that would tailor a rich narrative of the upcoming future. One such image would depict an abandoned lodge in the Swiss Alps in which a crypto mining rig had been set up in 2019 to reduce energy costs and make use of natural resources to improve infrastructure. Slightly further, an underground hydroponics system established in an abandoned tube station somewhere under metropolitan London, which by 2028 had managed to sustain half of its population with local urban farming. A seemingly ordinary image of the Mars surface had in fact been captured by a DIY CubeSat in 2029. Launched by a retired engineer and his son, the initiative would trigger worldwide interest in low-tech space exploration. On the coffee tables one would find a special edition of the Moonshots for Europe newspaper, with attribution to more than a decade of Copenhagen Catalogue. The tabloid dating October 24, 2030 was dedicated to a selection of posters created by the participants of the 2017 Tech Festival in Copenhagen. 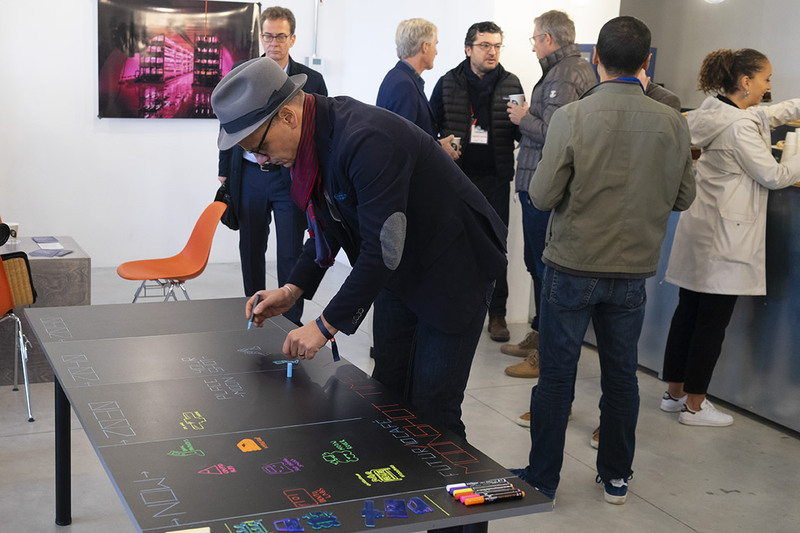 We curated twenty four from the total of a hundred and twenty designs conceived by the conference attendees, proclaiming more conscious and human-oriented visions manifesting the future of technology, politics and humanity. On the last day of the event we allowed the participants to translate their moonshots into a physical form. The ceremony culminated with a gesture of hanging one's moonshot template in the café, followed by presentation and discussions. We were delighted to conclude that the moonshots together with the exhibits manifested aims for a more equitable, sustainable, and inclusive future. 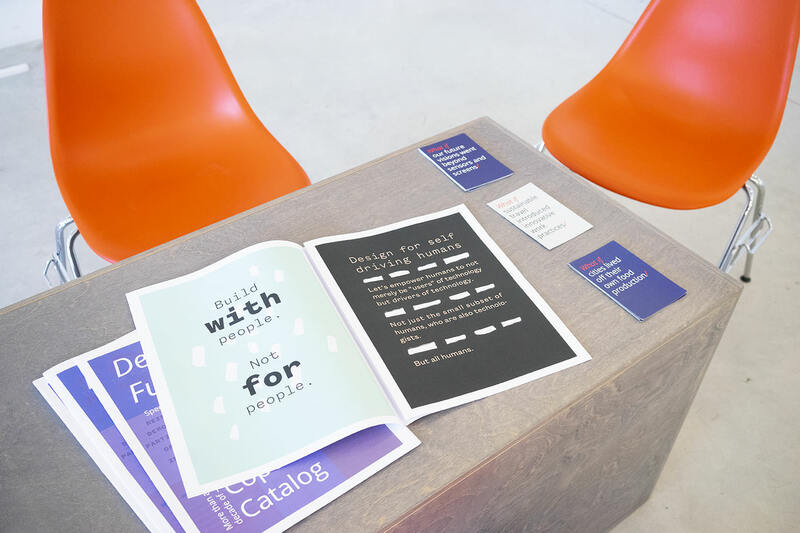 Our curated experience described a world in which the present day inventions and prototypes went beyond aims for revenue, and resulted in honourable social, political and environmental impact. It is often hard to quantify a design-led approach's influence of on development strategies, roadmaps or moonshots. The very nature of our work implies that creativity plays the key role in going beyond the boundaries of traditional foresight techniques. Nevertheless, multiple attendees came to talk to us during the course of the programme, expressing their compliments and support. Furthermore, people were excited by the simple gestures of hanging their moonshot templates and then marking their moonshots on a dedicated chalkboard timeline. 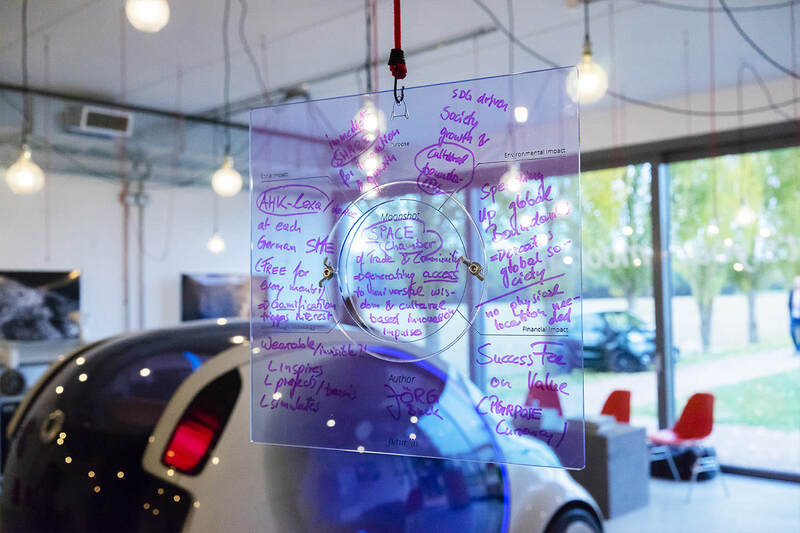 Such touch points and small interventions helped create unexpected triggers for interaction with other participants when presenting, discussing, collaborating on and refining moonshot ideas. We hope that the experience we created will help to build a long-term community dedicated to discussing and iterating plural hopeful future visions. Our goal is to help futur/io nurture an ongoing framework where moonshots would not limit themselves to the duration of the event, but become a focused goal to achieve and be proud of. Furthermore, we dream of an interactive platform for exchange, in which companies and proactive individuals would continue to share new prototypes and moonshots. Such archive would accomodate established moonshots as well as fresh initiatives, allowing to collaborate and bring valuable ideas forward.